Keep it Real: Day One! Tweet It! In 140 characters or less, challenge them to change their ways. 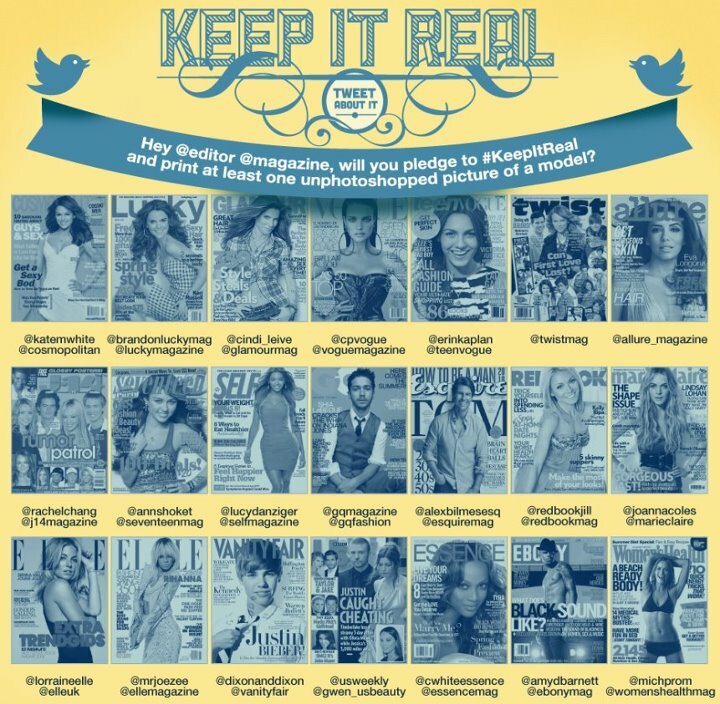 Use #KeepItReal throughout the day to share your thoughts on how they could improve. Attached is a list of the Twitter handles of some of the biggest fashion magazines and their editors – tell them you’re not buying digitally-altered beauty standards anymore. ← Keep it Real: Day Two! Blog It!